Timing is everything in sales. What better way to improve your timing than to pitch your products when customers are relaxed and receptive? Direct Sales companies take that idea to heart by bringing products (anything from kitchen supplies and cosmetics to wine and toys) into the target customers’ homes to demonstrate what they can do. When the right conditions align and customers are in a buying mood, direct sales associates can fast-track purchase decisions. Delay the process, and customers are more likely to get cold feet. Why risk that – especially when a mobile app can increase your odds of closing the deal? The revenue potential of mobile apps has encouraged businesses across industries to incorporate some form of mobile app into their operations. Some base their entire business model on a mobile service, and their app monetization strategies reflect that. 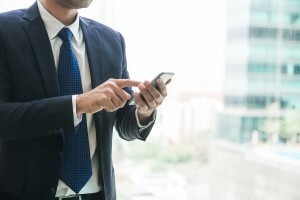 Others use mobile apps to enhance their operational success, making it easier for employees to perform their jobs or customers to make purchases. Event Scheduling – On-the-go event scheduling is the first step in making your direct sales team more efficient. When direct sales associates have to go back to their PC to schedule events, it can be easier to forget details or coordinate the ideal products. Creating a user-friendly mobile experience enables your team to keep track of upcoming events, invite guests, and schedule new events on the spot. Product and Inventory Awareness – Carrying around product catalogs and brochures is a habit that should have died out in the ‘90s. They take longer to search for relevant info and don’t provide real-time updates on product inventory. It’s disheartening for customers to fall in love with a product only for them to be told the next day that it has been discontinued or is out-of-stock. Building apps for direct sales associates provides them the ability to call up product details at a moment’s notice and tailor their sales (and customer expectations) based on current inventory. Payment Processing – Using paper forms or payment applications that aren’t directly connected to your inventory slows down sales processing. The payment is delayed, and the appropriate inventory isn’t automatically set aside. By building a mobile app that interacts with the comprehensive aspects of your business, payment processing and fulfillment processes are streamlined and customers are more likely to have an exceptional experience. Sales Associate Recruiting and Registration – While participating in a hosted event, guests may not only want to buy your products, but may also learn about becoming a Sales Associate themselves. What better opportunity to grow your sales force than moments after they’ve experienced your products and process firsthand. It’s hard to know that you like a bottle of wine until you’ve tried it, and Traveling Vineyard wants to provide people with a relaxed, hands-on way to find their new favorites. Their Wine Guides bring bottles from various vineyards to customers’ homes, educate them about the selection, and sell customers the bottles that suit their tastes. Discovery & Design ­– The Traveling Vineyard direct sales app was built on the right foundation. During the discovery and design phase, we collaborated with their key decision-makers to design the details of the product and make foundational technology decisions. That included answering fundamental questions about the intended user experience, functionality, interfaces, and design of the application. From there, we created a number of essential documents to further define the product. Upon completion of the discovery and design phase, everyone involved had a solid working understanding of the mobile app concept that drove the cost, timeline, and release plan for the project. App Development – With a project plan in place, our development team worked to bring the Traveling Vineyard direct sales app from design to launch. That involved coding the app software and integrating with third-party services (which was especially important for payment processing and inventory management). Moreover, by using our Solution Accelerators, we implemented proven, reusable software components and libraries that sped up the custom app development phase. We tested how the mobile app worked in simulators and on physical devices. We conducted Client Acceptance Testing and made adjustments based on the client’s feedback. We ran test cases to ensure the code satisfied the established requirements and functionality. We ensured integration with payment processing and the inventory system worked in real time. After the testing phase was completed, we followed our pre-launch checklist to avoid any lapses in the process before releasing Awesomm, the finalized, real-time Traveling Vineyard app, into the app store. App Maintenance – Once apps are launched, the work isn’t over. Planned and unexpected changes to mobile operating system versions, inventory management APIs, device hardware, or day-to-day business processes can require involvement of the development team to update the application. Traveling Vineyard selected our AppCare Maintenance service to ensure that the app stayed healthy in production and the direct sales team was always operating at full efficiency. We update the app to accommodate new operating system versions. We adapt to changes in third-party services to prevent any issues with real-time payments or inventory. We adjust the app to accommodate API and content structure changes as the backend continues to evolve. We expand the app’s functionality to accommodate feature enhancements based on user feedback and new product offerings. In summary, investing in a mobile app technology solution for a direct sales business offers a plethora of benefits to both sales associates and event guests that improve the overall customer experience, operational efficiency, and top line revenue. Are you considering the development of a mobile app for your direct sales business? Check out our Traveling Vineyard case study to get a glimpse of the process, features, and final product. Or contact us to discuss how a mobile app can be used to create benefits for your business.